A review of Bancinsure Inc. Health Insurance Company finds that BancInsure is a full-line independent insurer focused solely on financial institutions. 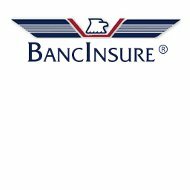 BancInsure, as its name suggests, insures banks and the banking industry. It does not provide health insurance. You do not have to be a banker to find a health insurance policy. All you have to do is enter your zip code and you will be connected to a selection of health insurance rates. BancInsure prides itself on being created “by bankers, for bankers.” BancInsure is now a private company, but still has a strong relationship with the 15 state bankers associations that previously owned the company. The insurance company is headquartered in Oklahoma City, Oklahoma and is licensed in 48 states. BancInsure helps financial institutions offer Health Savings Accounts, or HSAs, to their customers. As one of the fastest growing financial products, BancInsure sees an opportunity for banks to make money and offer their customers a more complete portfolio of financial services with HSAs. BancInsure advises banks to offer HSAs to their business account holders, who can then use them for their employees. BancInsure will help its client financial institutions in the preparation, enrollment, management, and continued support of their Health Savings Account program. A brief description of the claim is not required, but it’s always recommended to give as much information as possible when submitting a claim so that the insurance company understands your side of the story when considering whether to approve or refuse the claim. You may also be required to provide additional supporting documents, depending on the type of claim. BancInsure has received a financial rating of “A-” or “Excellent” from insurance rating agency A.M. Best. A.M. Best also assigned an issuer credit rating of “a-” to BancInsure. However, they’ve given the insurance company a “Negative” outlook, mostly due to the turmoil in the financial industry, where BancInsure’s business is fully focused. We were unable to find any negative or positive user reviews of the company, except for a positive testimonial from a client profiled on BancInsure’s website. The client, the CFO at a bank, is happy with both BancInsure’s products and its pricing. We believe the lack of negative or positive reviews in our search is most likely because BancInsure insures financial entities and does not insure individuals directly. If a bank is unhappy with BancInsure as a provider, it would likely simply switch to another insurer without writing a negative review. If it is happy with BancInsure, it will renew its policy and not likely leave positive reviews. As always, we recommend that you do your research and pick the insurance company who has products and services that best fit your needs. Start your research here! Type your zip code into the box on the top or bottom of this page and then look through the health insurance rates that are returned.